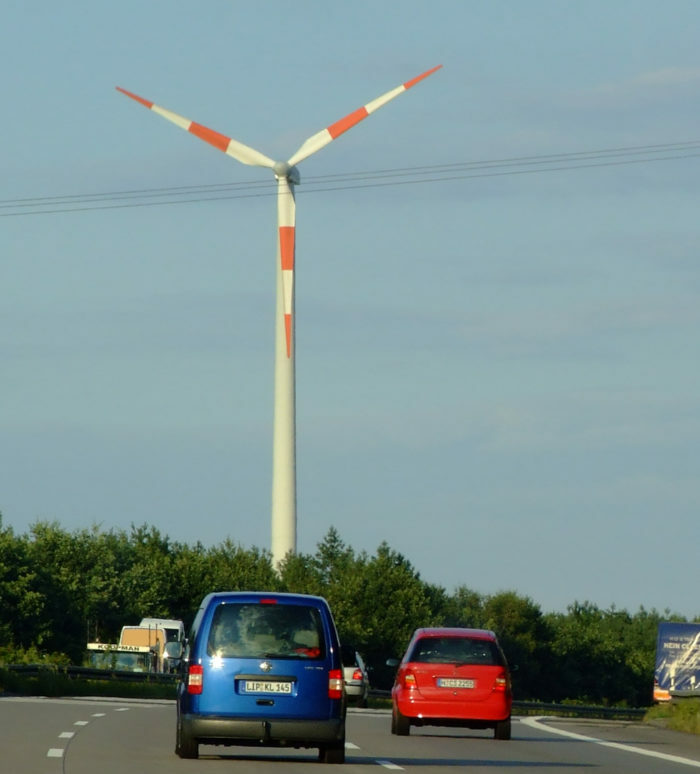 Wind turbines are now a common sight in Germany. The country is committed to a shift away from fossil fuels toward renewable sources of energy. Image Credit: Gavin Loynes - Flickr Der Spiegel magazine recently featured a cover story about the rising cost of electricity in Germany. 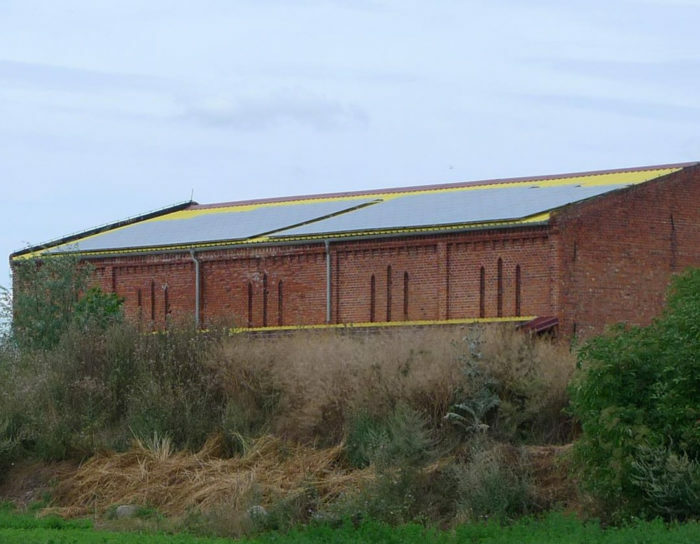 A large PV array installed on the roof of a German barn. My wife and I decided several years ago to spend a year living in Germany. I wanted finally to become fluent in German, after having been married for many years to a German engineer. I was also interested in learning about the materials, methods, and systems being used to make buildings more energy-efficient in Germany. We knew it would be educational for our two daughters to be immersed in a foreign culture, and we looked forward to spending more time with my wife’s family in Germany. We are now about six weeks into what will likely be a year-long adventure. I’ve started a blog to share with family and friends some of the experiences we are having in Berlin. I have also been posting information related to construction and energy efficiency. I have seen numerous newspaper and magazine articles in the past few weeks focused on the allegedly high cost to the German people of the country’s ambitious plan to restructure its energy systems. These articles have not been confined to Germany; they have also appeared in outlets such as The Guardian and The New York Times. Der Spiegel is a weekly German news magazine whose gravitas I might have placed somewhere between Newsweek and The Economist. However, a recent cover story about Germany’s “Energiewende” — an article which exemplifies the strained tone of other recent articles — did not strike me as particularly impartial or objective. Energiewende translates literally as “energy turn,” but it is more typically expressed as “energy transition,” “energy transformation,” or “energy revolution.” This program has its roots in the environmental movement that formed during the 1970s in Germany. 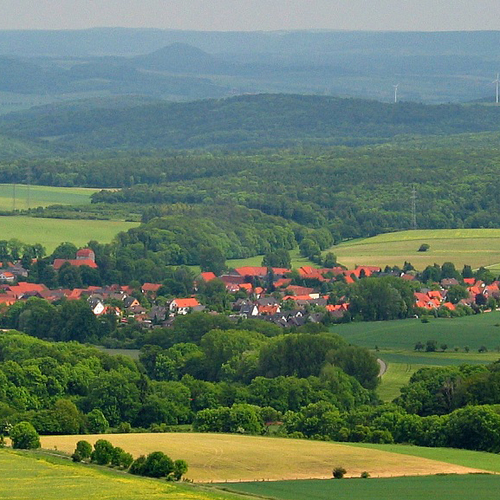 In 2011, the German government formalized the Energiewende in its current configuration with the goal of achieving specific energy-related and carbon-reduction goals within the next forty years. A serious attempt at achieving these goals will require increasing the energy efficiency of all market sectors (housing, transportation, industry, etc. ), dramatically expanding the use of renewable energy, and shifting energy-related attitudes and behaviors to a new paradigm. One of my motivations for spending a year in Germany was to learn more about the Energiewende — to dig more deeply into the program specifics, and to find out how it is working. 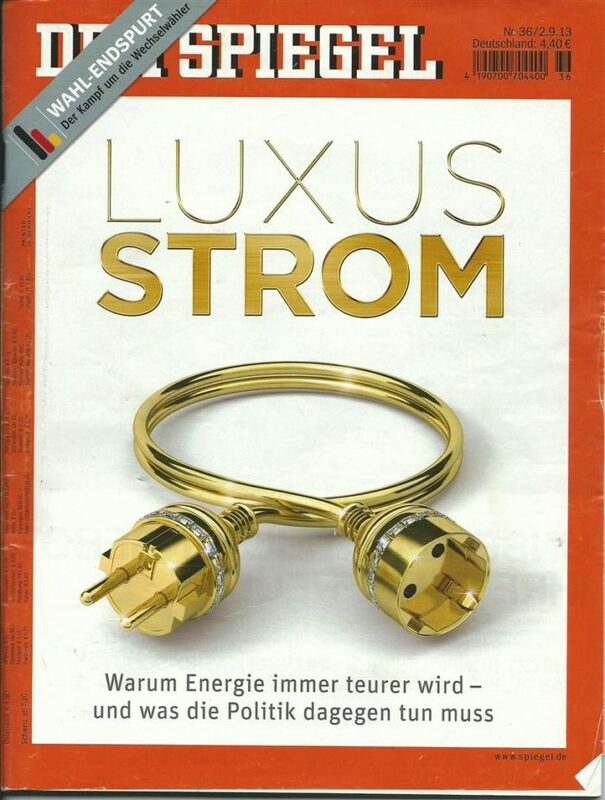 The cover of a recent issue of Der Spiegel caught my eye: “Luxury Power — Why energy will become increasingly costly, and what politicians must do to prevent it.” Aha, I thought: Germany has generally been the poster-child for the broad implementation of renewable power, and this article will provide insights into the downside of this transformation. The article certainly does lambaste many aspects of the Energiewende, focusing particularly on the relatively high cost of electricity. But the sensational language employed and the apparent lack of context for some of the assertions had me wondering about the article’s balance. There’s no doubt that the German government’s support for the development of renewable energy — particularly wind turbines and photovoltaic systems — has been expensive. These costs appear as a surcharge in the monthly electricity bills that most Germans pay. The article contends that this surcharge disproportionately penalizes low- and fixed-income citizens, who are, according to the article, increasingly at risk of having their electricity cut off. The German government’s energy regulations were designed to exempt businesses and industries that compete internationally from having to pay the electricity surcharge. 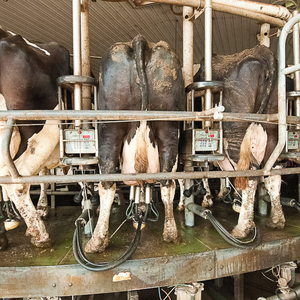 This exemption represents a potential loophole that some businesses have exploited. It also increases the cost of power for those businesses that do not qualify. The article contends that the main driver of increased electricity costs is the “haphazard” expansion of wind and solar energy. It describes the difficulties in bringing off-shore wind parks cost-effectively into operation, the need to upgrade the grid to transport energy from where it is produced to where it is needed, and the challenges posed by providing reliable back-up power during periods of peak demand. The article points out the uncomfortable fact that Germany’s greenhouse gas emissions actually increased by 2% in 2012. This was presumably the result of the shut-down of eight aging nuclear power plants in 2011 following the Fukushima nuclear disaster, and the resultant need for Germany to use lignite coal-fired plants to pick up the slack. The article concludes that Germany might be better off with a system based on market-driven incentives, similar to that which has been enacted in Sweden, rather than relying so heavily on government support. These critiques all have some merit, but reasonable arguments can be made in defense of the Energiewende’s policies and their implementation. 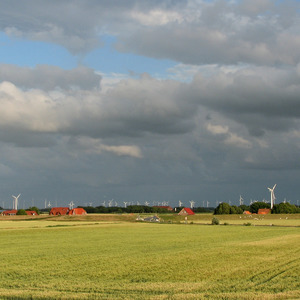 Cogent responses to the concerns raised in this article can be found in in various articles available on the web, including in the publication “Energy Transition — the German Energiewende,” produced by the Heinrich Boell Foundation. Chapter 6, Questions and Answers, addresses head-on many of the issues raised in the Der Spiegel article. The Der Speigel article’s most significant omission, in my opinion, relates to efforts to reduce demand for energy. Energy efficiency is a cornerstone of the Energiewende, yet it is hardly mentioned in the article. Wind generators and solar panels lend themselves to simplistic critiques; insulating existing buildings and installing better building control systems are not attention-grabbing subjects. My understanding is that Germany is making steady progress in the arena of energy efficiency, but that there remains tremendous potential for additional gains. The Der Speigel article’s most significant omission, in my opinion, relates to efforts to reduce demand for energy. Energy efficiency is a cornerstone of the Energiewende, yet it is hardly mentioned in the article. Thanks for sharing your insight on an interesting subject. It sounds like you are equating energy efficiency with reduced demand for energy - I'm not sure it's that simple. An item I read indicated the primary problem with Germany's energy sector is that the "renewable" sources continue to increase as a percentage leading to the need to buy power from Frnace and other countries at high prices. Wind and solar are not scalable sources of energy. You can't TURN UP the sun or the wind when you need more power which you can easily do with coal, nat gas and nuclear. Solar and wind make power when they want to not when you want to use it. As Germany's % of renewables has gone up they have had to turn ever more to outside sources to get power stability. Yes they shut down nuclear plants and in turn are having to buy nuclear power from France. Until renewables can store power so they can be scaled up and down, they really are nothing more than feel good toys for the tree hugging crowd. While the US doesn't have anything approaching a comprehensive national energy policy, we do have leadership at the state level. In states like Massachusetts end-user energy efficiency is resulting in absolute drops in the demand for electricity (both peak and overall usage) and making the retirement of old power plants possible. Intermittency isn't a fatal flaw for renewable energy- it's well understood, and managable up to a point without storage. Solar makes power exactly when you want it the most, and lets you back down other dirtier forms of generation at those times. Renewables don't need to scale, the system as a whole does. But why? are you so ignorant? Yes I think we get it that it would be awesome to store renewable energy and we need to figure that out for a global "Energiewende". The other thing we have to figure out is how to pay for the true cost of energy (not to mention food and many other products) while keeping "prosperity" of the western world afloat. I personally thing the first is the easier issue to tackle. But either way the fact is that Germans (and most European countries) use about 1/2 the amount of primary energy than Americans do (http://www.novatlantis.ch/en/2000-watt-society.html) and this is, also in my opinion, mostly due to policies that are in place. So but why? Because it is a step in the right direction! If you are referring to the “rebound effect,” I agree that it must be considered in any efforts to reduce energy usage through efficiency gains. I did not mean to imply that there is a linear relationship between increasing energy efficiency and reducing demand. However, there seems to be general agreement in Germany that increasing energy efficiency in all sectors will be necessary for achieving the goal of a 20% reduction in primary energy use by 2020. Many other factors such as increasing the demand responsiveness of the power grid and educating consumers about the benefits of conservation will also play a role. I agree that efficient use of energy is a necessary ingredient for the type of change the Energiewende represents. I often notice however, that a simple linear connection between efficiency and reduced demand is implied by "boosters" - if this was not your intention then apologies. The world's energy systems are for the most part "open systems" in the sense that they do not exist in isolation, which makes simple, linear cause and effect relationships rare. "Rebound effect" (the "bicycle paradox" or "Jevon's paradox") is certainly a manifestation of some of the complexities involved but there are others as well, making the "why" of a particular observation often difficult to determine and sometimes counter-intuitive. Demand reduction through energy efficiency is a possibility, but whether or not it actually plays out that way is determined more by the vagaries of cultural/political attitudes and economic paradigm than say, whether or not people exchange incandescent bulbs for CFLs, reduce phantom loads, or upgrade the insulation in their homes. I won't argue with you that Germany is (probably) generally further ahead of us North Americans in this regard. Lucas, if the transition to energy efficiency in Germany is accompanied by significantly increased energy costs, I suspect the rebound effect would be minimal. Most people would adopt a priority of conserving energy as the means to conserving money in their own wallets. It will be interesting to see academic evaluations of this process. I wonder too if business will develop new products to serve this growing demand for energy conservation. Overall demand for electricity in the US (not just MA & CA) has not kept pace with the expansion of either the population nor the economy over the past 35 years- there has been more gains from efficiency in that time frame than from raw increased generating capacity. Some of those efficiency gains were mandated at the federal & state levels (which had a HUGE impact in flattening the power use growth curve in CA in that time frame), others were incremental technology improvements in the commercial & industrial sectors, but there is still quite a bit of that lower-hanging fruit to pluck in the US. In Germany that's not the case. Electricity pricing in Germany is about 3x the US average, and the obvious cost-effective efficiency fixes are pretty tapped out. In the US the current stalking horse for the utilities is net-metered distributed generation. In the past 5 years rooftop photovoltaic power lifecyle per-kwh costs have dropped from being ~2x the residential retail price, to now LESS than residential retail. In states where net-metering is the law and third party ownership of rooftop PV is allowed, there is sufficient arbitrage between the retail price and the lifecycle cost to support a buslness where the third party own cuts a reduces rate power deal with the homeowner, and a power purchasing agreement with the utility or even yet another party. In states with renewable energy credit markets production credits sweeten the deal even further- it's a win-win-win (and sometimes another -win) kind of deal. But as the cost of distributed power drops further an more homeowners add net-metered PV, the margin made by the utility on power sales in a sagging demand market puts them in the position of raising rates to cover grid-maintenance costs, which makes adding PV even MORE attractive to the homeowners.... It's been dubbed the "utility death-spiral". There have been recent changes to the net-metering rules in CA to temper it a bit, and many utilities (rightly) see this as an existential threat to their current business model. Things WILL have to change, and the US grid of 2025 isn't going to look very much like it did in 1980 or 2000. I've attached a useful US review of Demand Side Management that amongst other topics covers what is called the rebound effect or Jevons paradox. Jevons was writing in a rapidly industrialising British economy that was moving from animal and wood power (with some other renewables eg windmills and hydro) to coal ie the fossil fuel per unit GDP was increasing. The opposite is happening in a number of OECD economies today so even if there was increased economic activity as a result of energy efficiency programs it's a bit of a stretch to say this would lead to increased overall energy consumption. p11 onwards deals with this and some other criticisms of the Jevons school. Chris Nelder wrote a recent post that complements your observations. Worth a read. Major English-language media have been propagating a false narrative about the stunning success of Germany’s transition to renewable energy: the Energiewende. To hear them tell it, the transition has been a massive failure, driving up power prices, putting Germany’s grid at risk of blackouts, and inspiring a mass revolt against renewables. The biggest offender is Der Spiegel, a German newsweekly that resolutely scrounges up every shred of support for its anti-renewable story, while touting fossil fuels and nuclear power as the only sensible paths forward. Many Australian grids are currently summer peaking. When people get home they turn on their AC which puts substantial loads on the grid. One heuristic is that for every AC unit about $7k worth of transmission and generation is required. And these may only be used for a small fraction of the year with the cost spread across all grid users. I did a pre-recorded radio interview this morning with the ABC, our national broadcaster, about regional power generation. I drew heavily on the German model - around 150 communities now getting over 50% of their energy from biomass! around 30GW of PV's most of which is owned by individuals, co-ops, communities etc! Massive community economic and energy resilience! Aggressive GHG reductions that they appear to be well on track towards achieving! All while the strongest large economy in Europe! - during which they asked me how to tackle going 100% renewable for a regional town. b/ Characterise energy use by energy carrier (liquid fuel, thermal, electricity), temporal and geographical distribution. c/ Aggressive energy efficiency to reduce the energy used. d/ Match residual energy required with available renewables. e/ Use thermal and electricity storage to shift (temporal and to some extent geographical) supply to demand. Yes, in my opinion "decoupling" is right in there with "sustainable" in terms of meaningfulness - at best too easily misunderstood, at worst too easily spun. A bigger issue than whether or not energy efficiency "rocks" or is ineffectual (for the record I do earnestly support the idea of using energy efficiently) is determining what certain observations (ie, lower demand) are actually attributable to - and that isn't really as easy to do as a lot of people make out. As the PNAS paper you linked to demonstrates, we generally don't have a very clear picture about how some pretty important things in our world are working. Thanks also for the other link - I'll have to give it a read. But there's nothing ordained that this has to be the case. Back to looking at the vagaries of cultural/political attitudes. "In addition to "off-shoring", I also suspect that energy intensity of GDP would look a whole lot different if that portion of GDP related to debt (credit) were subtracted..."
what can be said is that generally materials show reductions in embodied energy with time. I've spent a bit of time in this area over the last few years and I think it's fair to say that in the OECD we tend to have high energy use because we have had access to large amounts of cheap despatchable energy. Not surprisingly we've built economies based thereof. But there's nothing ordained that this has to be the case. Even within the OECD there's substantial variation in energy use per capita with comparable living standards or even higher with less energy use. Programs as described in the attached document show the potential for energy use reduction in what some term the "real" GDP. 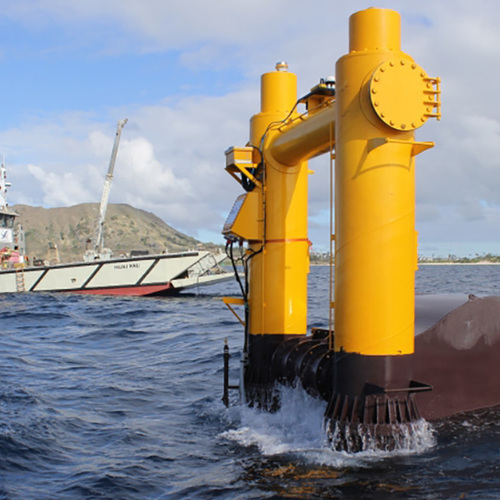 Will Tidal and Wave Energy Live Up to Their Potential? Editor's note: This blog was originally posted at Yale Environment 360.